“This is our 2nd time in Shanghai. Crazy city, amazing!” said Johan Wohlert to the audience. I was surprised because I didn’t know that they’ve been here only twice. Mew came to Japan many times from 2003 to now, so as a Japanese person, I thought China was the same. 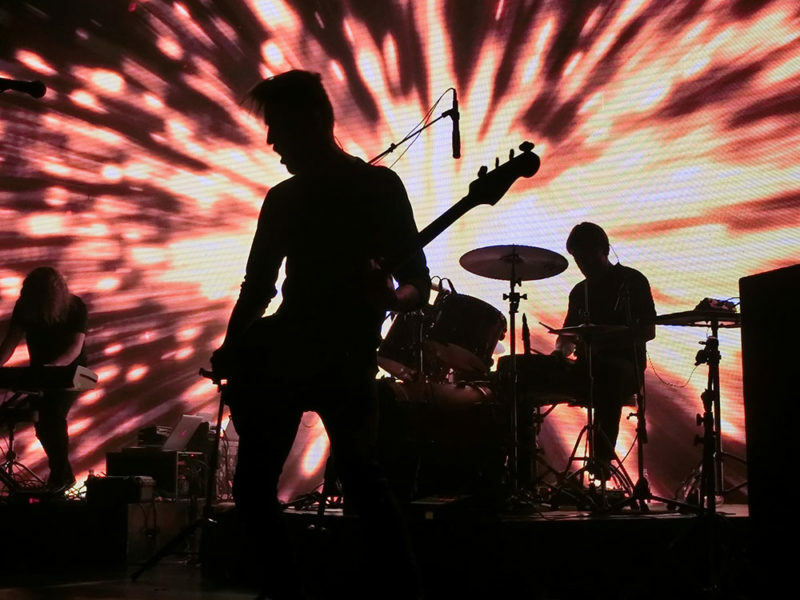 Chinese Frengers are probably looking forward to Mew coming to their country. About 2 hours before doors opened, Frengers gathered and were singing to the sounds of reherarsal that leaked out from the venue. And then it was announced that a signing would be held after the concert. This was my first concert outside Japan. I felt many differences between the Japanese and Chinese. The way of buying ticket was difficult. In China, digital tickets are the common way, but in Japan we still use numbered paper tickets. Before doors opened, people showed their booking number, then had their hands stamped. That was fresh to me. At 7:45pm the door opened, and the venue was full of Frengers by 9pm. The concert started with video In A Better Place that was released 3 days before. Next was 85 Videos. 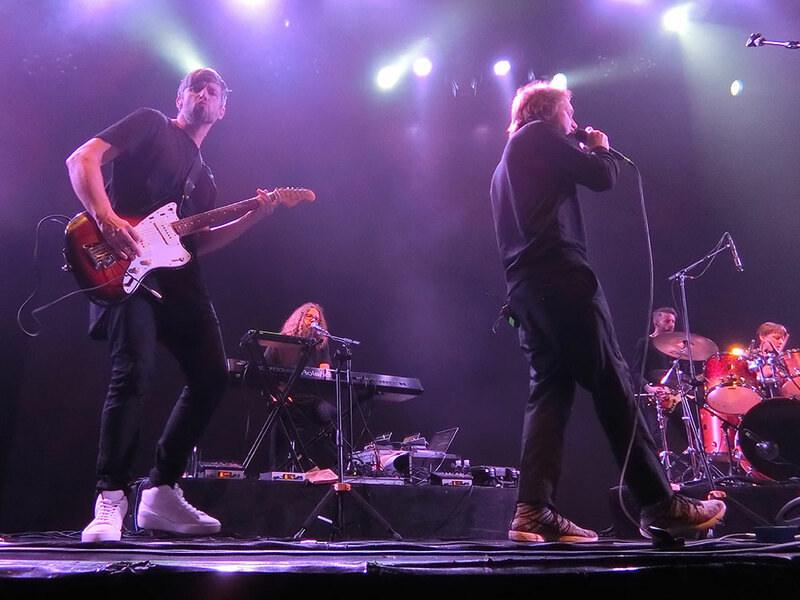 We were fascinated by their musical performance and Jonas Bjerre’s beautiful and clear voice. These videos of kaleidoscopes were so beautiful (big screen is better than small display), and it was perfectly fit with that voice. During the last 3 shows in Japan, there was no background video, so this production was a long time coming for me. At this time I thought that This is Mew! Videos of old songs (from Frengers) were also renewed, and I wondered when this happened. I was standing at right side, in front of Johan and Silas Graae. Those two: the bass and drum, are the best part of live performance, I think. They play very strongly and more powerful sounds than on CD. You can’t feel this unless you come to the concert. 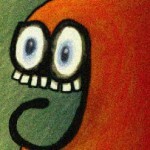 Dr. Nick Watts’s chorus on Ay Ay Ay and Mads Wegner’s guitar on Twist Quest were my favorites. The harmonized singing in Water Slides was also awesome. The concert was finished with Carry Me To Safety. And then two encores, (4 songs) were played. Every time a new album is released I am glad. On the other hand, I feel sad that I won’t be able to listen to my favorite old songs at the concert. 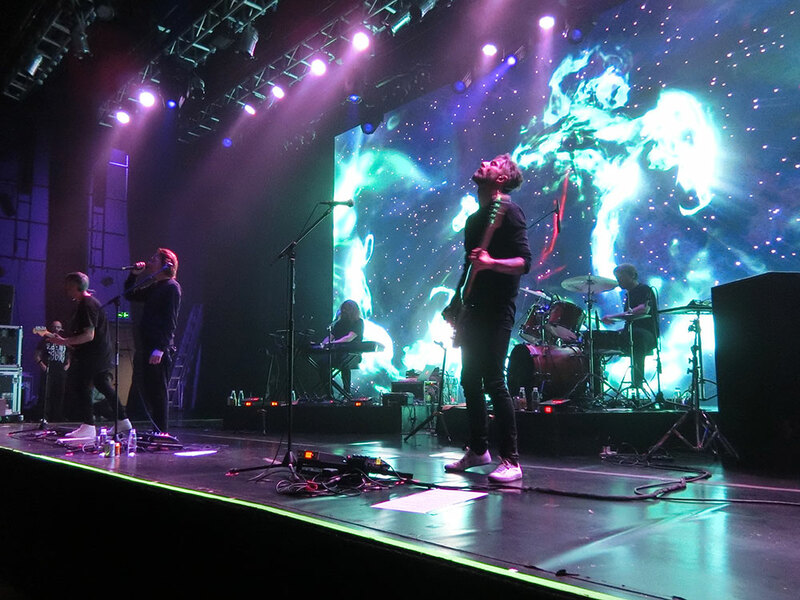 However, today many new songs from Visuals were played, but the other songs were played too. Great set list. 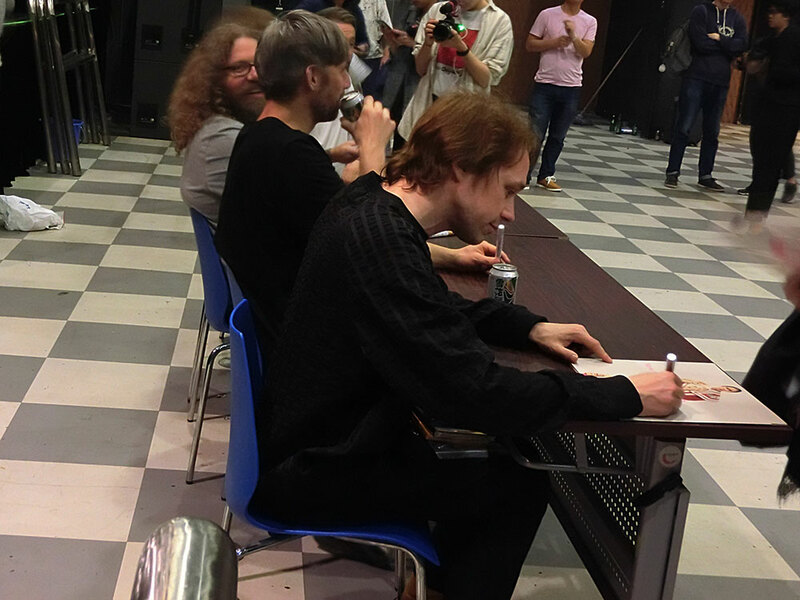 After the concert, it was time for the signing. Many Frengers were waiting in a line. 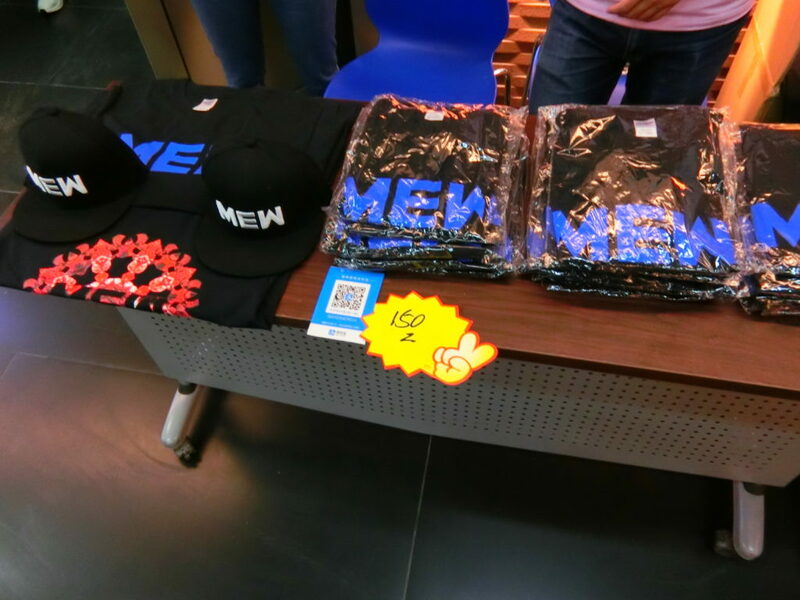 Everyone bought merchandise, got Mew’s signature on their goods, CDs, T-shirts, and took a picture with them. It was very special experience for all Frengers. All members were so kind and friendly. In Japan, signing is strictly confined like this: “Don’t take a picture with artists! You can’t get sign with your name! You must buy specified merchandise!” I don’t like the Japanese style. This time was completely different from a Japanese signing. Each Frenger spent a nightmarishly long time! I finally also talked with Jonas. “I came from Japan,” I said. He said to me, “Domo arigatou gozaimasu,” which means “thank you very much” in Japanese, fluently. I wanted to say “Tusind tak”, but I was too exited, I couldn’t. What a shame. See you in Japan, can’t wait for September!